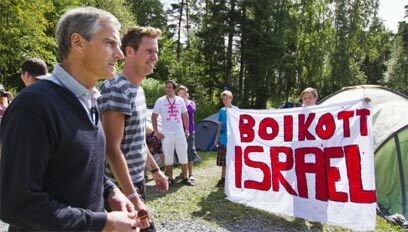 The teenagers who took part in Norway's ruling party youth camp in the island of Utoya met with Foreign Minister Jonas Gahr Stoere and demanded he recognize Palestine on Wednesday, two days before the deadly terror attack which left many of them dead. Eskil Pedersen, leader of the Workers' Youth League said that the movement endorses a financial embargo on Israel. See all talkbacks "Norway youths discussed Palestine prior to attack"